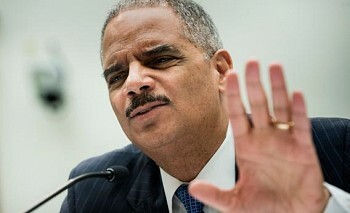 Attorney General Eric Holder will be giving exit interviews to several networks -- Fox News will not be among them. Attorney General Eric Holder will be giving exit interviews to several networks, however, Fox News will not be among them. In a statement issued by executive VP of FNC, Michael Clemente — and read aloud by Bret Baier on Special Report earlier this evening — the network made their opinions on the matter known. The news does not come as a complete shocker, considering the less than friendly relations that exist between Holder and Fox News. Watch the clip on Special Report, courtesy of Fox News.